It would never work on radio because radio was dead, it had been killed on September 30, 1962, when CBS canceled the last two prime-time network radio dramas, Yours Truly Johnny Dollar and Suspense. It would never work, but it was just too good of an idea not to work, so the decision was made to go ahead with Beyond the Green Door. Recorded in 1966, Green Door was apparently meant to be broadcast as part of NBC's Monitor, which would continue to entertain and educate listeners until 1975. A series of five-minute spots, the stories were written by science fiction master Robert Sheckley and read by one of the most respected voices of Radio's Golden Age, Basil Rathbone. Perhaps the most accomplished fencer in Hollywood, Rathbone had been one of the screen's greatest swashbucklers. Unfortunately, when sword-play was written into the script Rathbone was usually cast as a bad guy and he lost far more on-screen duels than he won. Beyond the costume period pictures, Rathbone immortalized the role of Sherlock Holmes. 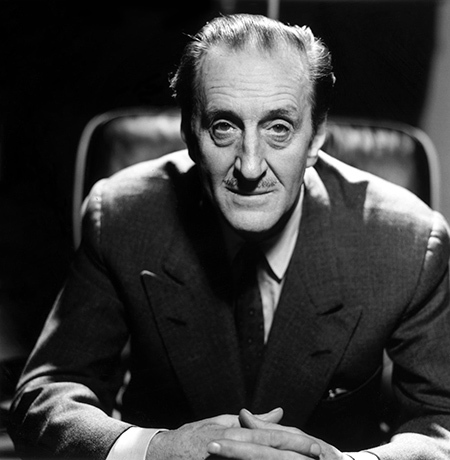 The "consulting detective" is acknowledged as the "the most portrayed character" in history, but Rathbone's portrayal is considered the arch-type, having played him in fourteen pictures between 1939 and 1946. Concurrent with the film series, Rathbone, along with Nigel Bruce playing his sidekick, Dr. Watson, starred in The New Adventures of Sherlock Holmes for several different sponsors on the Blue Network and Mutual. Bob Sheckley discovered science fiction before graduating high school in 1946. He began to sell his short stories to the science fiction pulps after serving in the post-War Army. His stories were noted for being fast-moving and quick-witted. He would contribute scripts to Captain Video and His Video Rangers and his work would include novels based in the Star Trek universe. The snippets which would become the Green Door series (sixty were written) were ground out in true pulp magazine fashion at the rate of five per week. The stories are filled with supernatural weirdness, mad scientists getting their just desserts, and neck-snapping plot twists. Although the then 66-year-old Rathbone didn't always "get" the stories, his smooth reading gave them an incredible and attractive authority. After two months of writing at such a furious pace, Sheckley felt he needed some time off, which the series producers refused. So, he quit. Rathbone himself called Sheckley and politely asked him to come back to work, but at $60 per story, he felt better to stay quit. While recording the Green Door stories, Rathbone, then in his seventies, kept his health by performing fencing exercises in Central Park. A year later he died of a sudden heart attack in his den on July 21, 1967. He was 75. Three Stars on the Hollywood Walk of Fame are dedicated to Basil Rathbone, one at 6569 Hollywood Blvd for Motion Pictures, another at 6809 Hollywood Blvd for Television, and for Radio at 6312 Hollywood Blvd. 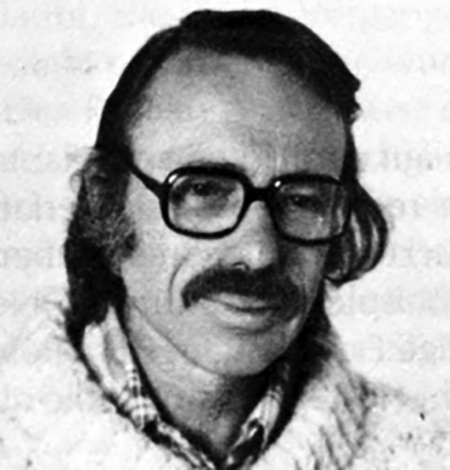 Robert Sheckley would be named Author Emeritus by the Science Fiction and Fantasy Writers of America in 2001, he passed away at the age of 77 on December 9, 2005. Be the first to comment on "Beyond the Green Door"